There is no denying the rugged work an extrication glove is put through on the scene. When it comes to choosing the right extrication glove for the job, you can't sacrifice long lasting durability and cut resistance. That's why the HexArmor Extrication Gloves are great at getting the toughest jobs done. HexArmor EXT Rescue 4011's are built to last through endless missions. 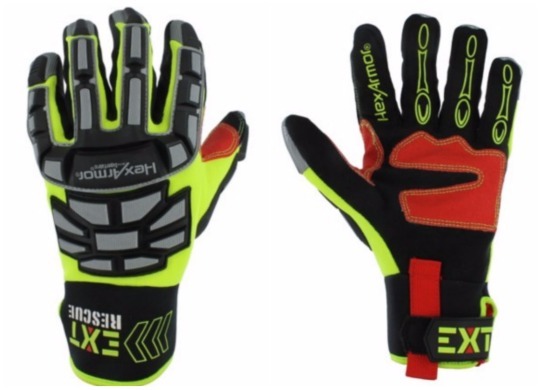 One of the many features of these gloves is an improved IR-X Impact Exoskeleton. These built-to-last gloves feature a level 5 cut-resistant palm and the double-stitched exterior and interior seams. Instead of detailing the specific features, we'll show you. Check out this video by HexArmor where they walk you through the great details and features packed into the EXT Rescue 4011 Gloves. Find the size you need over on our website and begin protecting your hands with HexArmor.